Decolav’s cityscape Collection is both sophisticated and functional. The integrated glass lavatory with single-hole faucet drilling is illuminated by the included LED lighting, creating a warm and inviting environment that you will not want to leave. 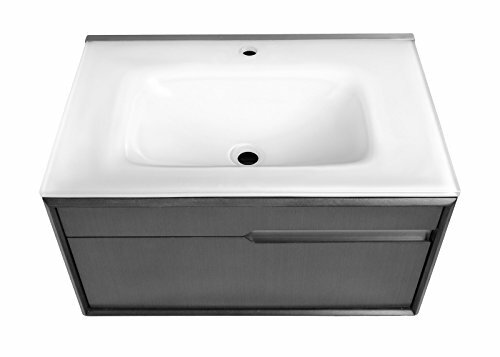 The cityscapeCollection is the perfect bathroom feature for any home. 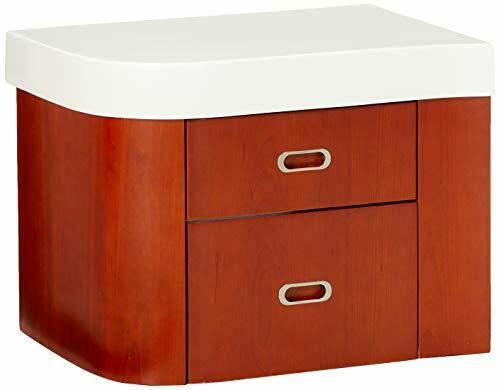 5225-ESP Base Finish: Espresso Features: -Vanity base.-Solid wood trim and frame.-Plywood drawers with dovetail joints.-Satin nickel hardware.-Birch veneer.-Coordinating mirror and countertop sold separately.-Soft-closing undermount drawer slides for smooth secure close.-Vanity top not included. 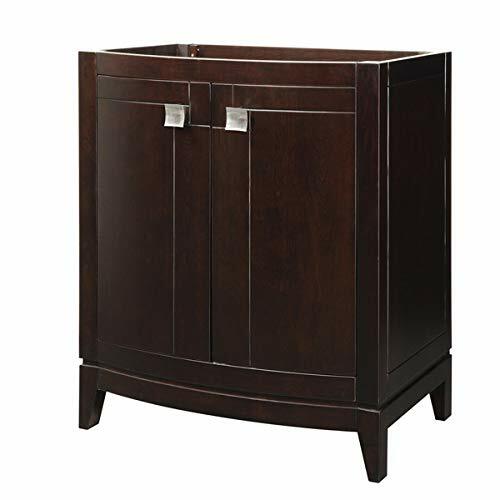 Dimensions: -28.25'' H x 15'' W x 21'' D, 29.4 lbs. Collection: -Cameron collection. Warranty: -Manufacturer provides 5 year warranty. Manufacturer SKU: 5240-ESP. Part of the Gavin modular collection. 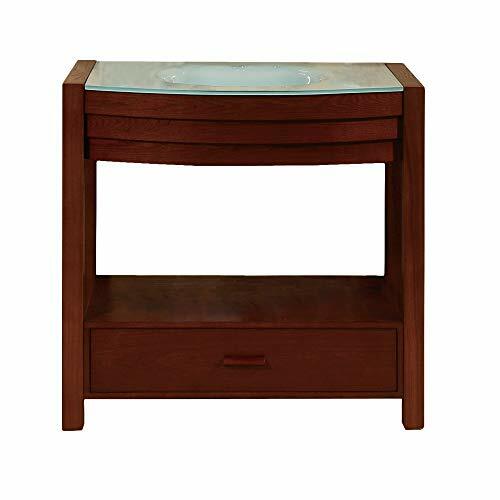 Solid wood legs and frame with medium walnut finish. Two curved doors with soft closing hinges. Satin nickel hardware. 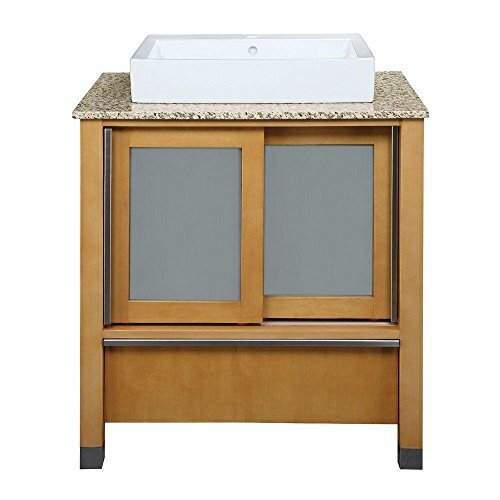 Countertop and lavatory not included. Available in 24", 30" and 36". 21.5 in. L x 24 in. W x 35.25 in. 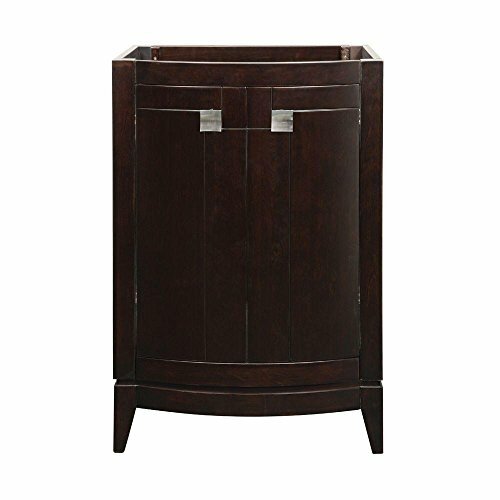 H. Installation Instructions DECOLAV's Gavin Vanity in Espresso has dynamic edges and strong lines setting this vanity collection apart. Soft closing hinges are used for a smooth secure close. The elegant hardware included add an extra function and style creating an overall visual masterpiece to this collection. The trend setting design of this collection is ideal for any decor. Decolav’s cityscape Collection offers a clean and simple solution to spatially challenged areas. Featuring energy efficient LED lighting inside the vanity, activated by a touch sensitive switch, the cityscapeCollection is the perfect bathroom feature for any home. 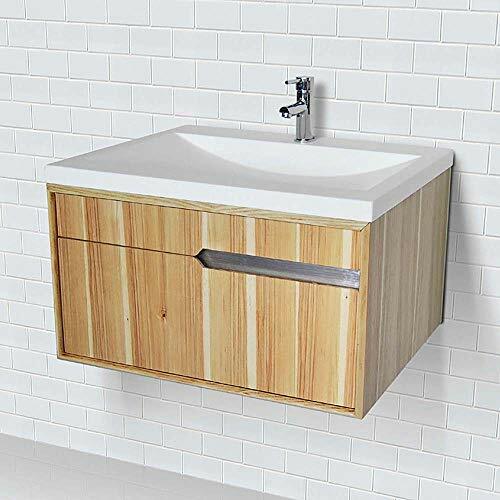 Accommodates any above-counter lavatory not to exceed 27 inch W x 15 inch D.
5255-WHT Finish: White Features: -Solid wood frame. -Two curved doors with soft-closing door hinges. -Lola collection. 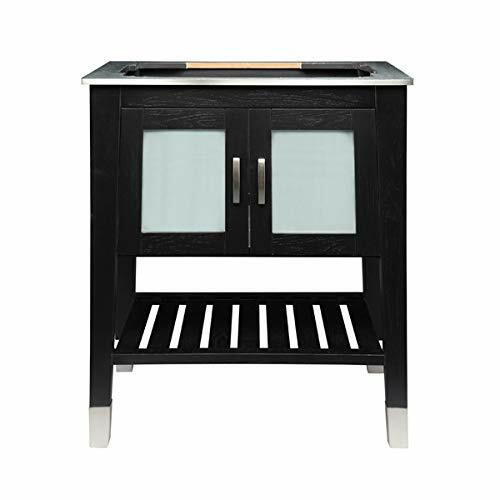 Product Type: -Cabinet. Style: -Contemporary. Primary Material: -Wood. Mount Type: -Wall mounted. Door Configuration: -Left door/Right door. Number of Doors: -2. Number of Shelves: -1. Dimensions: Overall Height - Top to Bottom: -26". Overall Width - Side to Side: -22". Overall Depth - Front to Back: -9". 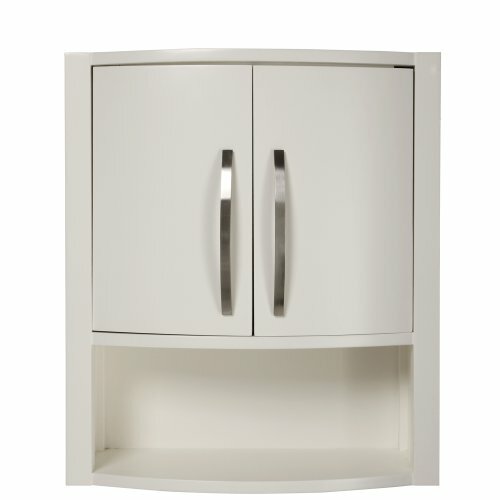 Cabinet Interior Height - Top to Bottom: -16.1". Cabinet Interior Width - Side to Side: -19.01". Cabinet Interior Depth - Front to Back: -4.13". Overall Product Weight: -14 lbs. Shelf Depth - Front to Back: -4.3". Shelf Width - Side to Side: -19.1". Shelf Height - Top to Bottom: -8". 5236-AWH Finish: Antique White Features: -Includes wall cleats for extra support. 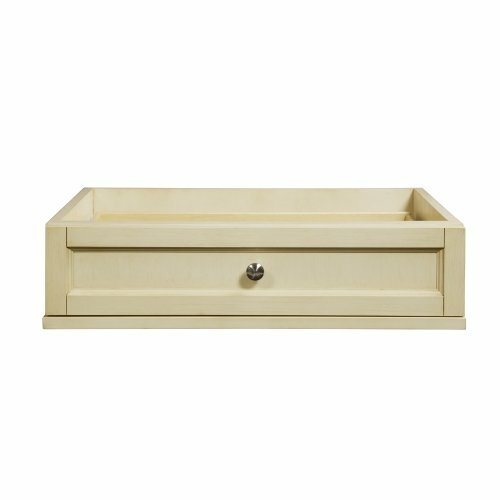 -Single drawer console. -soft-closing undermount drawer slides for smooth secure close. -Satin nickel hardware. Application: -Vanity. Finish: -Black. Finish: -White. 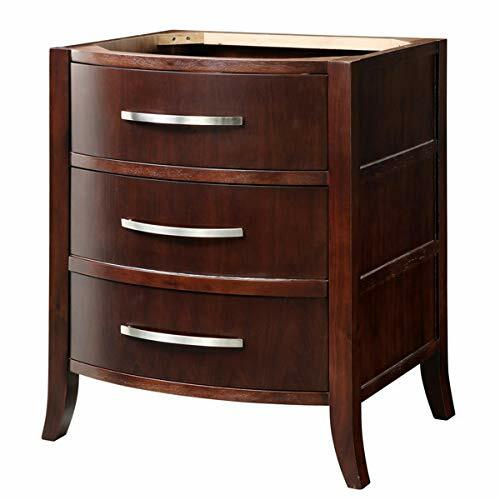 Generic Specifications: -Designed to accompany 5235 Drawer Console. 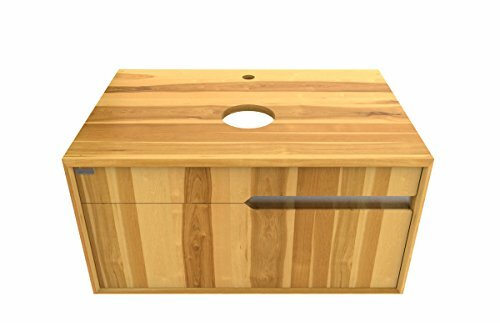 Generic Dimensions: -Overall dimensions: 6.5'' H x 26'' W x 21.125'' D. Dimensions: Overall Product Weight: -12 Pounds. Overall Depth - Front to Back: -21.125 Inches. Overall Height - Top to Bottom: -6.5 Inches. Overall Width - Side to Side: -26 Inches. 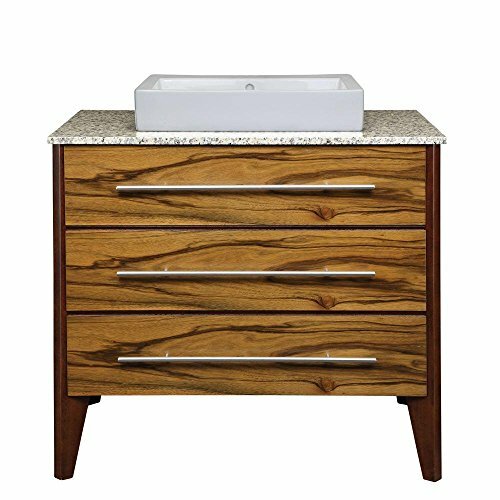 Decolav’s cityscape Collection is a show stopper featuring soft-closing drawers, stainless steel accents, and energy efficient LED lighting inside the vanity, activated by a touch sensitive switch. 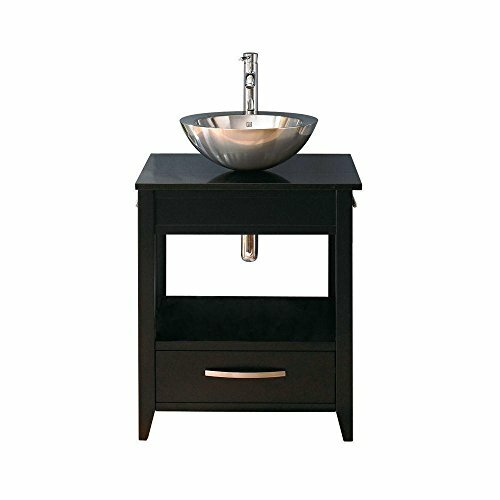 The solid surface lavatory with single-hole faucet drilling accents this vanity perfectly creating a modern twist on a traditional look. The cityscape Collection is the perfect bathroom feature for any home. 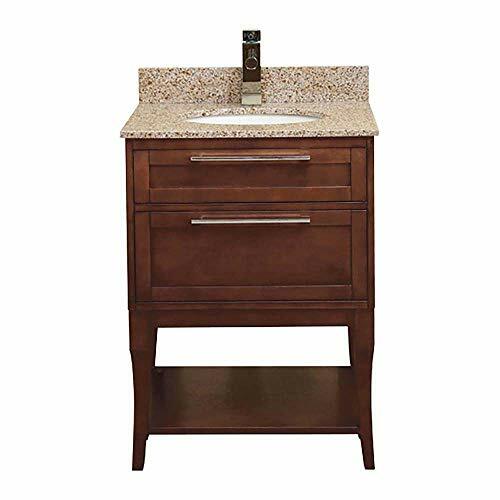 5645-ESP Base Finish: Espresso Features: -Vanity set.-Two door wood vanity.-Single-hole vessel faucet drilling (faucet not included).-Cabinet provides ample storage space. 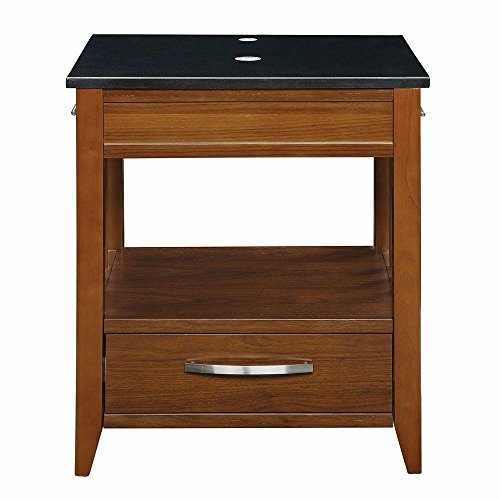 Includes: -Black granite vanity top included. 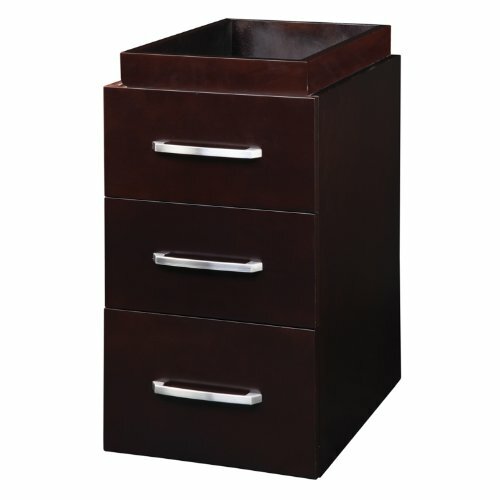 Dimensions: -28.5'' H x 24'' W x 22'' D, 36 lbs. Collection: -Haddington collection. The paradigm is shifting and Decolav welcomes you to explore new horizons for your bathroom. Once a purely functional space, the bath is evolving into a retreat meant to inspire and rejuvenate. Decolav is at the forefront of this change, delivering extraordinary, design inspired products for your bathroom. Decolav's innovative bathroom solutions, many patented, are brilliant both aesthetically and functionally. 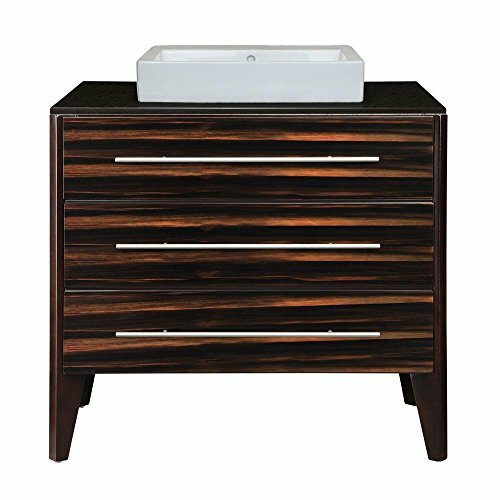 Decolav's bathroom furnishings are impeccably stylish and functional, and are available in a variety of sizes, styles and materials. 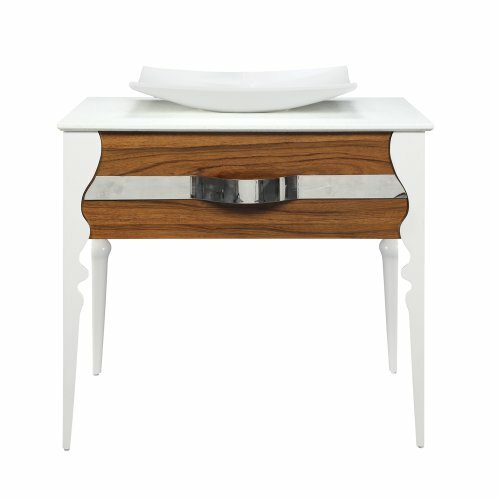 Compare prices on Decolav Wood Vanity at LiveSaler.com – use promo codes and coupons for best offers and deals. We work hard to get you amazing deals and collect all avail hot offers online and represent it in one place for the customers. Now our visitors can leverage benefits of big brands and heavy discounts available for that day and for famous brands. We try to makes comparison shopping easy with Product Reviews, Merchant Ratings, Deal Alerts & Coupons. Find Deals, Compare Prices, Read Reviews & Save Money.